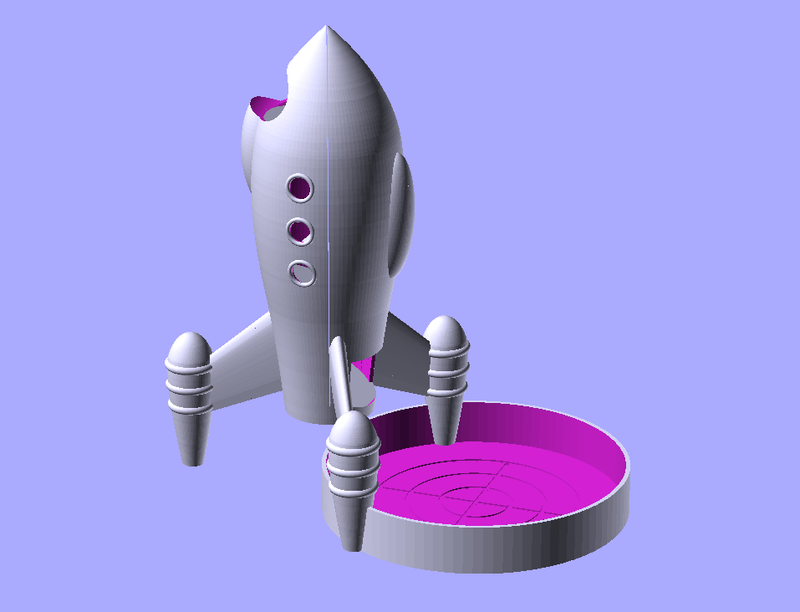 Modeled on the lines of the old retro sci-fi ships from the pulp era, this super-sized dice tower stands 12" tall and the landing pad (dice tray) is about 8" in diameter. The towers are 3D printed and come in two pieces: the ship itself and the dice tray. They are shipped unpainted but with the printing support material removed. In this model, the ship is designed to stand to the side of the dice tray for improved visibility of the dice once rolled. This tower will handle larger polyhedral dice (up to 32 mm). Select your ship and base colors before ordering. They don't have to be the same but the default is white for both. Permalink Submitted by byzyk on Wed, 11/14/2018 - 10:31. Landing of the plane on the mountains was dangerous but thanks to the pilot who has been saved the life of the passengers. On that plan the most people are from the best essay Australia city which is save now from the crashing point.